VATICAN CITY (CNS) — ‘Tis the season for a huge assortment of holiday concerts and carols to choose from, making Advent and Christmas a unique period for reminding people of the evergreen beauty of sacred music. Like weddings and baptisms, “Christmas is a great time” to reach out and offer people an experience that encourages them to return to church more regularly, said Paul Inwood, a British composer and former director of liturgy and music for the Diocese of Portsmouth. “When it comes to Christmas, I’m always very aware of the people who perhaps come just once or twice a year” to church, he told Catholic News Service by phone in early December. For that reason, he said, the music that parishes program should be “beautiful and magnificent,” but also “hospitable” and “accessible” to everyone. Because “you can’t find anything more religious and more joyful in sacred celebrations than the whole congregation expressing its faith and devotion in song,” Inwood said. “After Vatican II, the kind of liturgy that we had changed its nature and went back to the traditions of the earlier church when participation in the liturgy was the norm,” he said. 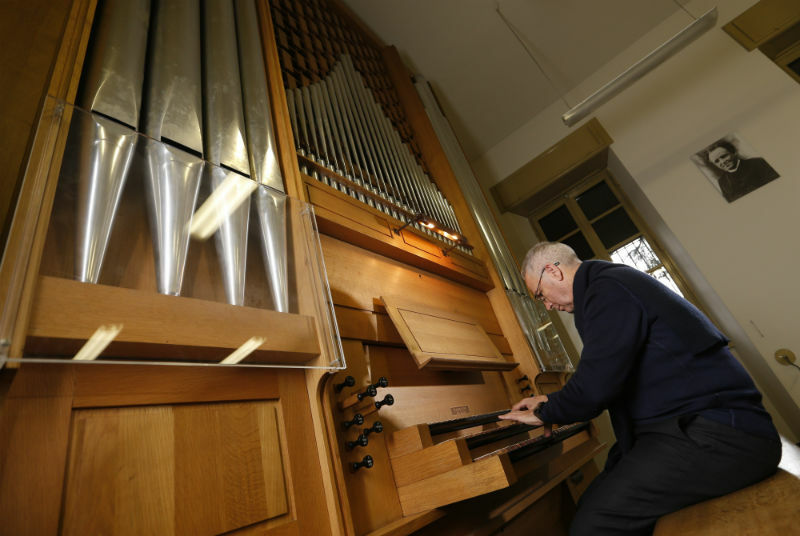 Music was now seen “as a ministry, rather than a performance, and it serves the people and helps them lift up their voices and praise to God,” said the composer. This push for musical reform was already well underway before the Second Vatican Council, Msgr. De Gregorio said, which is why the pontifical institute was founded in 1911 by St. Pius X. The institute was established to respond to the growing belief that “the people must sing,” he said. Roman Catholicism was heavily influenced by “the ancient Roman mentality,” he said, which saw that expanding into new territories and spreading its influence meant including and assimilating all that was good and useful from the local cultures. This history of inclusion “is the secret of the development of music” and all arts, he said. “In her wisdom,” he said, the church embraces appealing local traditions and elevates them, finds a way to fold them into the sacred. That’s why the institute is so important, he said, because the desire for inclusion was never about “wanting to lower the level” of standards, but to skillfully elevate the music of the people to a higher plane. “Here then is the reason for our school, to create and form people who can make music of the highest level,” he said. He said he thinks the debate over “folk” versus “traditional” forms of music stems from an “ignorance” about music in general. 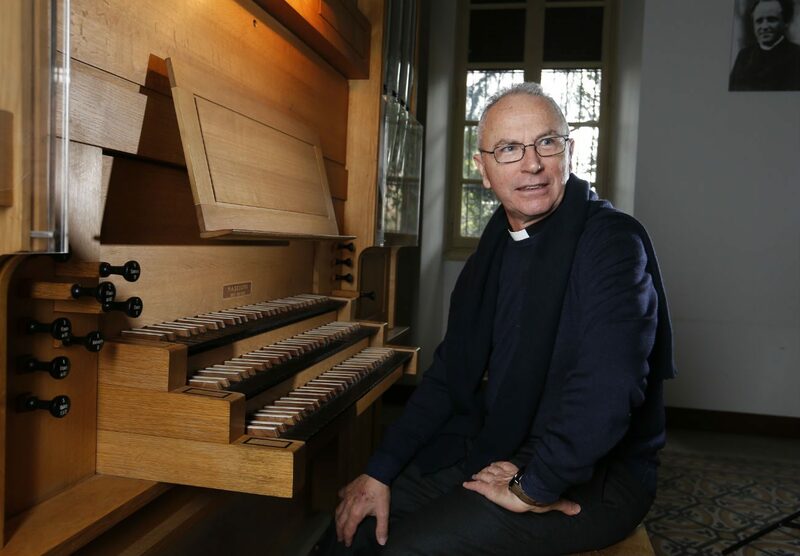 Fears that “the church has abandoned its great music” find fertile ground “where there is no widespread musical culture” in schools and parishes, and people lack basic skills in reading or understanding music, he said. The answer, then, isn’t “creating an aristocracy” of experts, but of increasing awareness and preparation for everyone so they can hold onto, develop and appreciate musical traditions. Education and formation, he and Inwood said, have to tackle both fronts: the risk that clergy don’t understand music and its proper expression, and the risk that musicians don’t know enough about liturgy. “The music needs to fit the ritual like a glove,” which requires people understand not just music, but also “what liturgical action is doing so they can tailor the music to what is going on,” a skill not unlike what composers do when fitting musical scores to action unfolding on film or the stage. Being respectful of the ritual and sensitive to the congregation mean sacred music can shine anywhere — whether it’s a parish in a poor shantytown or in a monumental cathedral, the two men said. “You can do wonderful things with what you have,” even just a cantor and assembly, he said. “The music isn’t inferior in any way, it’s just different and reflects who the community is at that particular point” and aims to draw them together in praise. “It’s much better to do (music) you can manage and do it well than try very hard to do things you can’t achieve,” he added. I love some traditional music but am tired of being forced to endure nothing but old music. Tired of a priest who has no clue what modern worship music is or is about telling me I don’t know. I know what I like and I like a mix of both. This is just another example of the church not paying attention to what is good and blessed and Holy. PS I HATE the organ week in and week out to loud you can’t hear the singing. To loud you can’t hear the melody line to follow the music. It becomes the center instead of the song or the words being sung. Make it acceptable by turning the organ off and get an instrument which accompanies the choir or cantor rather than drown out every voice in the Church.